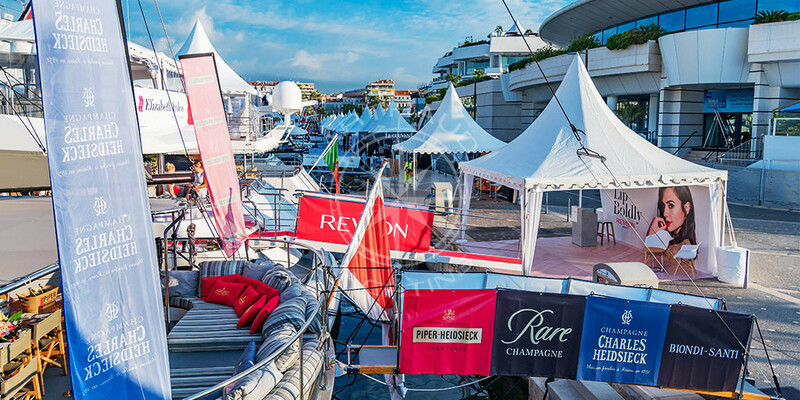 Rent a yacht for MAPIC: the International Retail Property Market and take advantage of the solution combining proximity, prestige and notoriety. 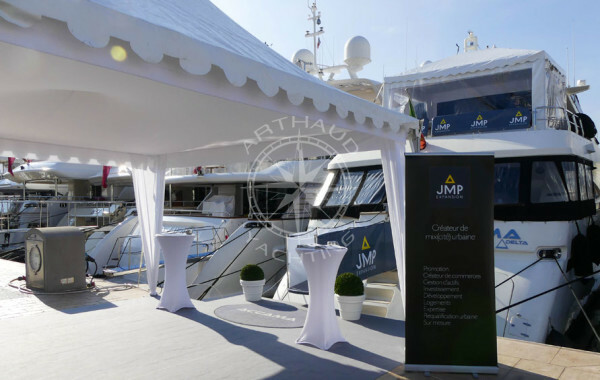 Specialized in the organization of nautical events, and particularly in quayside yacht charters for both private and corporate events, Arthaud Yachting is your ideal partner for your MAPIC event. 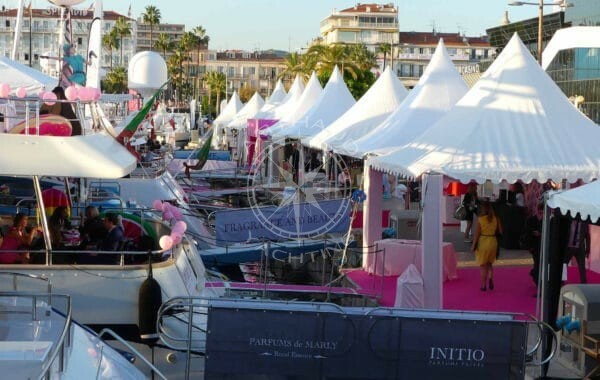 Although part of the smaller events hosted yearly in Cannes, the MAPIC is the leading international retail real estate event for key property players. 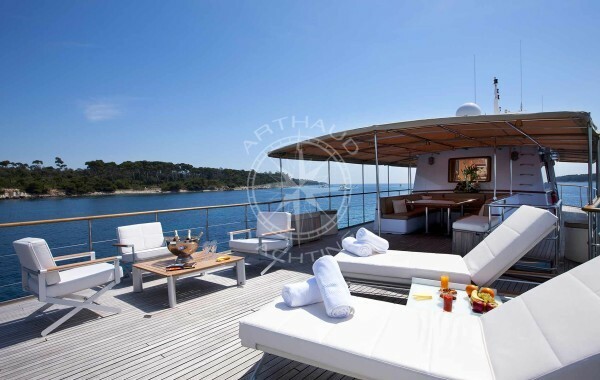 Every year, Arthaud Yachting is one of the only brokers and event agencies to host a few quayside private yacht charters as part of this event. 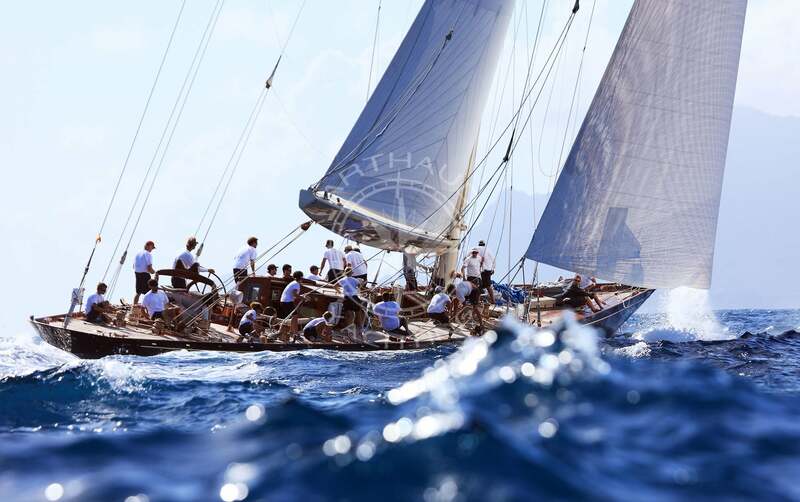 Based in Cannes and specialized in the organization of nautical events since 2003, our team of expert brokers and experienced project managers will accompany you from the planning to the realization of your turnkey project. 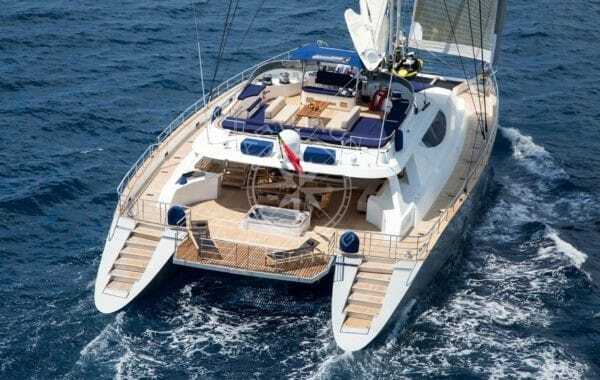 Innovation and differentiation are the key values of opting for a nautical presence along the harbor facing the Palais des Festivals, avoid traditional venues and choose your private yacht charter, a guaranteed head turned in the old port of Cannes. 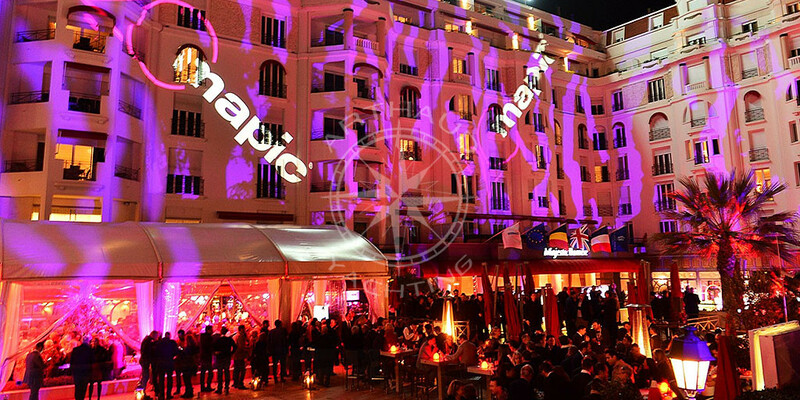 The MAPIC, like any other corporate event hosted in the Palais des Festivals provides an inimitable network platform to increase international exposure for your company and to attract and recognize potential clients, collaborators and partners. 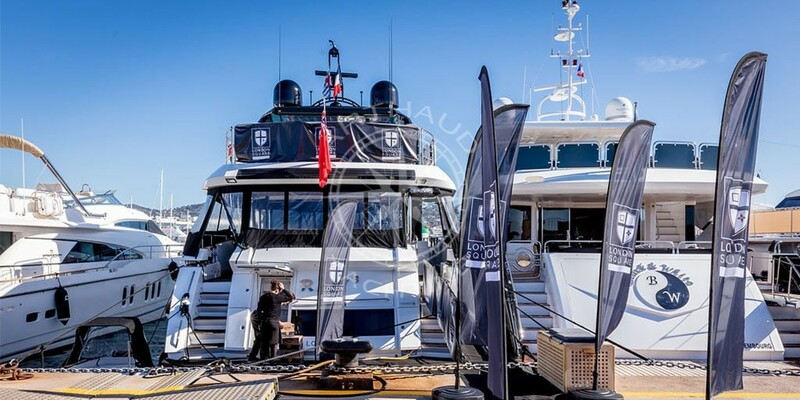 The most impactable way of making the most of this opportunity with attendees from more than 80 countries, is to rent a luxury yacht charter for a quayside event in the Old Port of Cannes just adjacent to the Palais des Festivals and accessible by foot in just a few minutes. A qualified crew at your service for the MAPIC in Cannes. 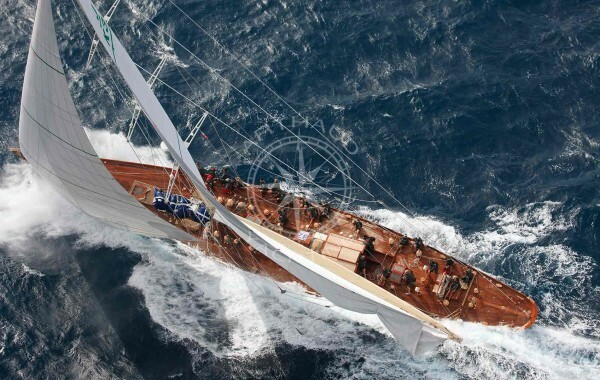 Wide choice of yachts for your rental for the MAPIC of Cannes. 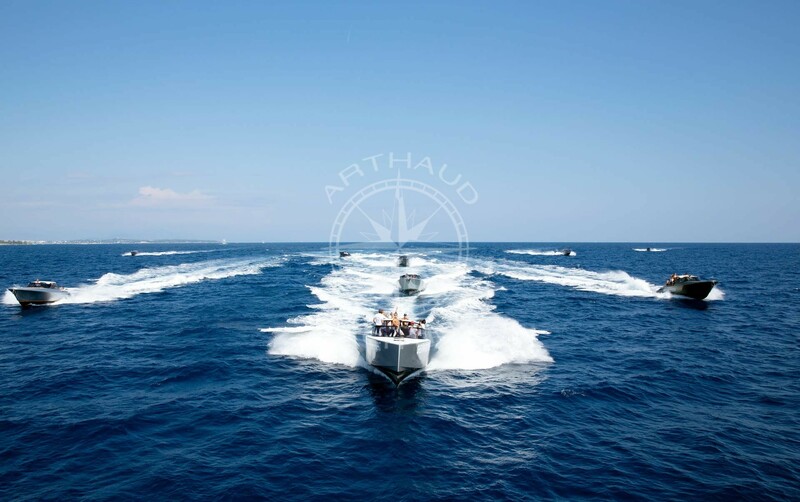 At Arthaud Yachting, our mission is to make your dreams and wildest ideas become reality, with a large fleet of yachts ranging from 20 to 100m let us guide you to the best match for your company. 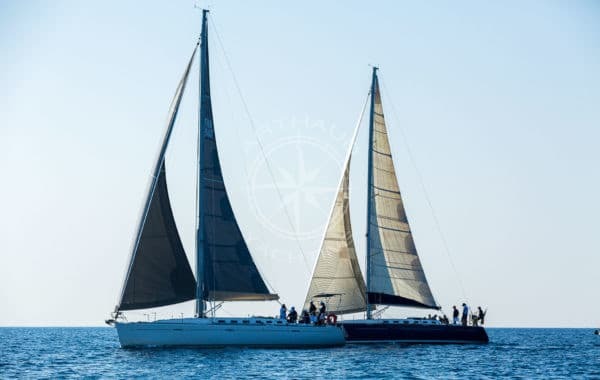 All our private yacht charters in Cannes are fully equipped with professional crews familiar with quayside events and keen to provide tailor made experiences. From a personalized welcome tent area, to the smallest gadgets and details, we propose a variety of customizable options to match your vision and brand. 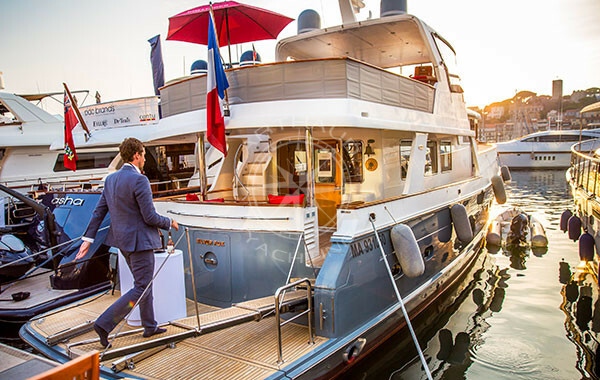 Embark on-board your very own floating palace and impress your clients with your yacht vitrine, utilize your private yacht charter as a showroom and sales head quarter for your confidential meetings in a relaxed and comfortable atmosphere. A professional crew is at your service and attentive to details to guarantee a successful experience for both you and your attendees. 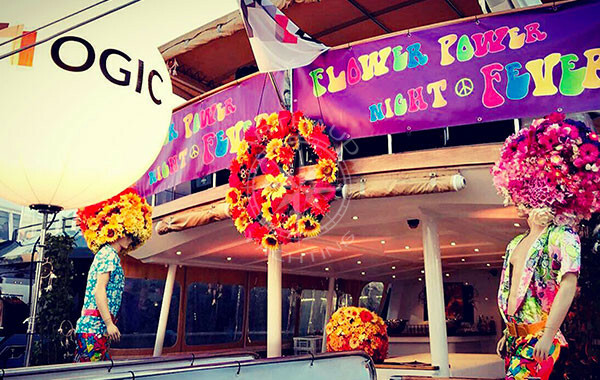 Various advantages are at your reach when renting a private yacht for your event: host your guests on-board and cut cost on accommodation, our luxurious vessels range from 2 to 7 cabins allowing you to welcome up to 14 guests aboard your very own floating palace. Decide of what you would like for breakfast, lunch and dinner and have your private chef establish tailor-made menus so that you no longer have to battle with reservations and restaurant queues. Every aspect of your business trip is right in the palm of your hand and carefully organized by your personal broker, what more could you want? 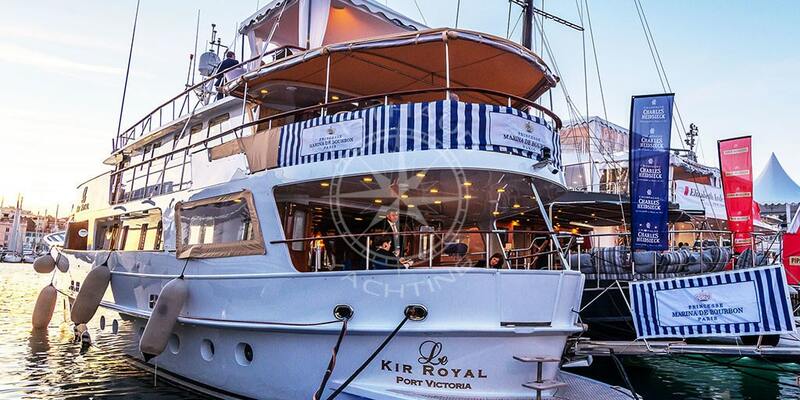 Welcome your guests aboard your private quayside yacht charter and take the experience to the next level. As opposed to a more traditional venue, you are not limited to just one location, explore the possibility to go out for a cruise and let your captain organize an afternoon getaway or evening dinner cruise with your colleagues or VIP clients. The Mediterranean is at your disposal to mark the minds of your attendees and make your event the most memorable yet! Based on your brief and requirements, our team of specialist brokers will search for the perfect yacht and crew to propose the best quayside yacht charter. 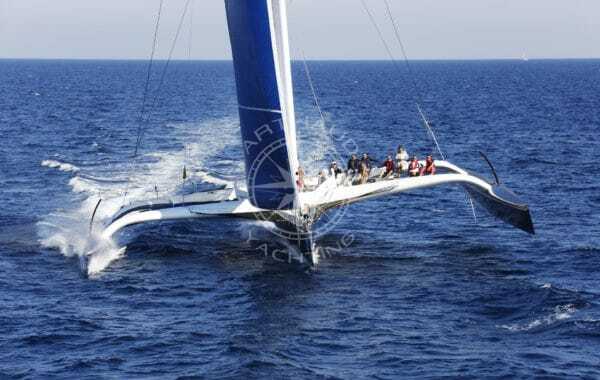 Our qualified team sends you a proposal with a selection of yachts available in Cannes for your request predisposed to match your needs and wants. 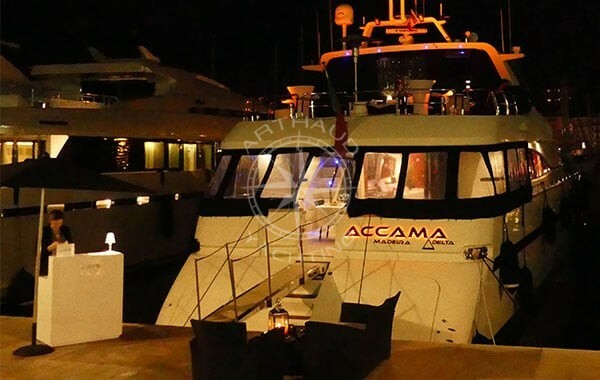 Your personal broker will assemble the berth application as quickly and concisely as possible in order to obtain the best berth location for your yacht charter. Our team handles all the paperwork, administrative duties, registration of staff, etc. Our expert project managers will assist you in a step by step design in order to tailor and produce the perfect event for you and your attendees. Through our extensive network base, and partners we will suggest the best of everything: caterer, DJ, entertainer, staff, decorator…etc. 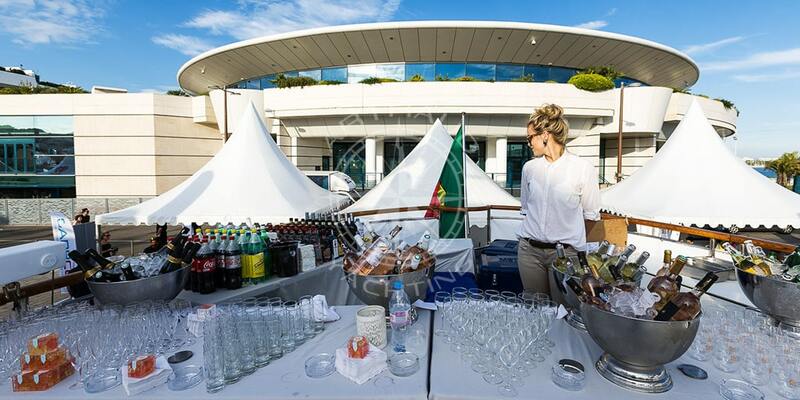 Our project managers will be at your disposal to provide creative and innovative ideas for your event, trust us to make your event THE event of the MAPIC in Cannes. Prior to embarking on-board your yacht charter, your crew is fully briefed, prepared for your arrival and ready to attend to your every need. Available 24/7 our team is reactive, responsive, and active during your yacht charter in order to facilitate your time on-board and guarantee a continuous service of quality. There’s just one thing left to do: put your thoughts to paper and let us take care of the rest!